Something on the crazy entries for the Outer Tee: we noted, a year ago, that there would be strong pressure for whatever went on the Outer Tee to be Iconic. And iconic certainly some of the suggestions are. Other ways to describe other suggestions may be “completely mad“. We’ll get to those in a later post. 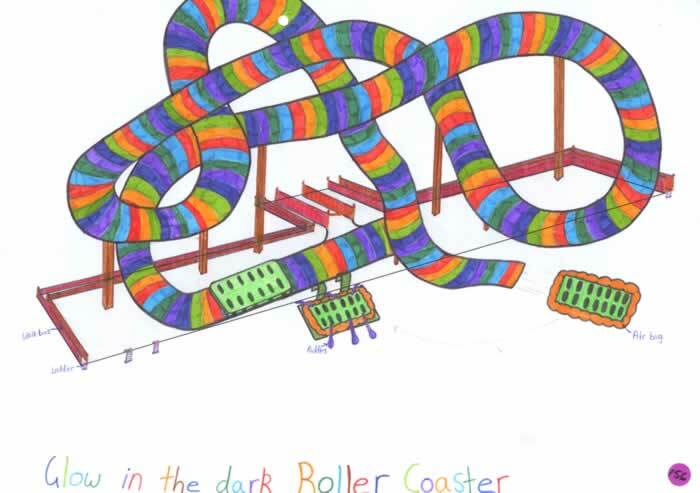 But right now, one recurring theme, the most popular and common of the entries, although it may be listed under “fanciful”, is the evidently much-needed and much-wanted thing: a roller coaster. It occurs surprisingly often for a serious modern city such as Wellington – we’re obviously not a bunch of boring grey suits any longer. It’s the choice not only of a plethora of small kiddies, but also some of the adults: Wellingtonians just wanna have fu-un. What better thing could we want for the waterfront? A trip throught space and time at high speed, precariously poised above the ocean, perhaps even splashing through it? Parents, what are you feeding your children on!?! They’ve all got visions of Worms! Although, that said: one that glows in the dark would be rather special. Check this out! 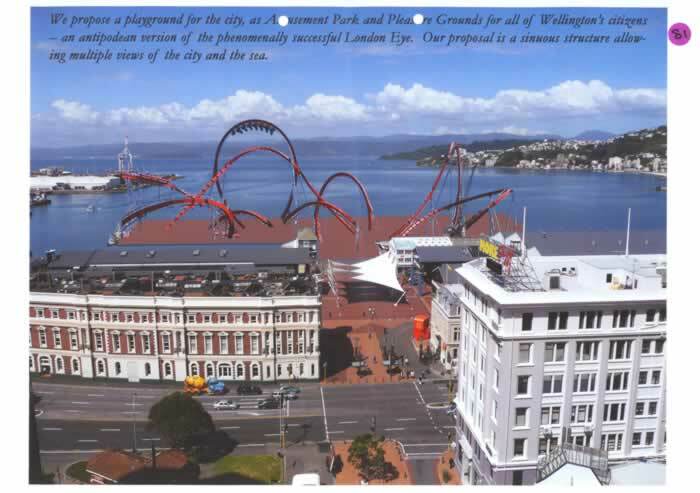 And then there’s the one highlighted on the Arch Centre’s website which looks like a serious proposal – certainly a half decent photoshop job – maybe Wellington really just does want some harmless fun down the end of the pier. What about it WWL? what? No Colossus of Kerry? I was hoping someone might have stolen my idea as I didn’t have any time for it…. 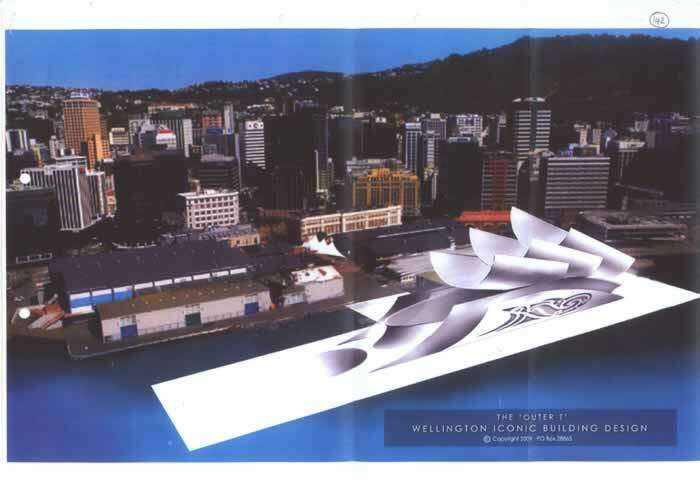 That said, I love one of the first entries from the Wellington Waterfront site – a proposal for an exhibition hall. Umm…. 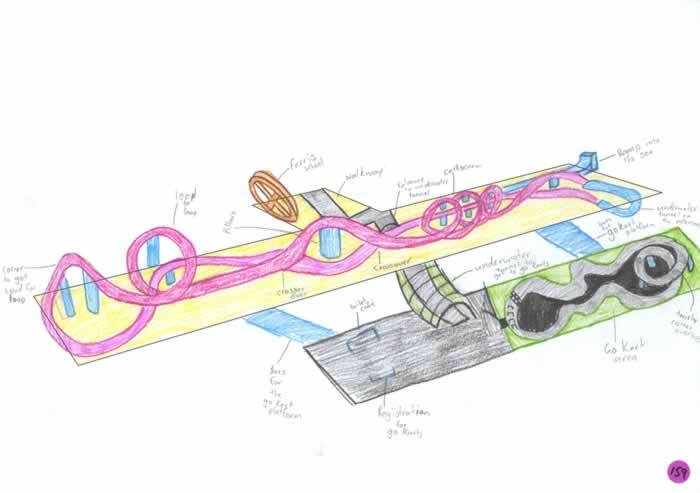 ugh… i wish i hadn’t started looking at the competition entries. Some of those are too depressing to even contemplate. Wow, something to annoy everyone! Everything from “Gee, maybe a hotel isn’t such a bad idea after all” to those who still believe that, in the face of all meteorological, sociological and historical reality, a wharf stuck out into the middle of a windswept harbour is the ideal place for a lawn. Do we actually need to develop it at all, especially in the current climate of profligate rates increases (if you go along with old Rodder’s). What is so wrong with status quo until an actual need comes along (and it seems awfully shortsighted to create a need simply to raise revenue for re-piling…. The alternative, already explored, is to give the site up for commercial development, so that we lose any opportunity to have something meaningful located there for the next half century or so (depending on the rate of rising seal levels…). Can’t wait for those “rising seal levels”, although I suppose that, in theory, the seals do rise along with the seas?? Perhaps we should just raze everything there currently, and then let people build what they want there. A giant community lego set. Is there anything stopping us building more “t”s or piers jutting out in to the harbour on piles? I can’t imagine it’d be any more expensive to build a new one than to re-pile an old one. 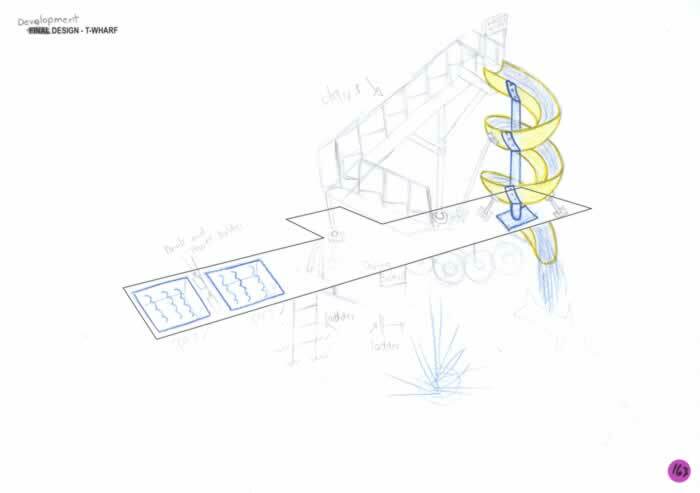 So we could pop a hotel on one (if Hilton were prepared to pay to re-pile the Outer T, then presumably they’d pay to build a new T if they could pop a hotel on it), an exhibition center on another, and a roller coaster on a third. I think we should build our own London Eye – would be a perfect spot for it and add an iconic feature to our skyline. Iconic, iconic, schmonic. Scweppes and tonic. But yes, exactly. From memory, only cost $90m NZ. You got enough tourists to fill it every day and every night? Maximus – it doesn’t have to be filled every night. And anyway didn’t you read the paoer yesterday – Wellington is NZ’s most loved destination. Wellington actually has a pretty good occupancy rate – I believe it’s about 80% Mon-Thurs and 60% Fri-Sun, which is very high by international standards. We are hampered by not having a five star hotel in Wellington (and please don’t write and tell me that the Intercontinental is 5 star – it’s not, even if they say they are….). I to was disappointed at the quality of the entries for the Outer T.
Especially compared to teh quality of the entries for Auckland’s Queens Wharf. Did you check those out? Fantastic. But then I realised that there is a 100% chance of something getting built on Queens Wharf and they had a very clearly defined brief (“Party Central – Tourist Area – Cruise Ship dock”). Before you consider the value of our own “London Eye” google the news reports of the disasterous “Southern Star” observation wheel in Melbourne. I was there a few weeks ago and it was in a number of pieces. Not ideal. Love the various design ideas, particularly the one that looks like a huddle of giant glowworms in a sexual frenzy. Truly, I haven’t seen anything so unusual since I stopped taking LSD back at Uni. But here’s the thing: people need to want to *go* there. It has to have shops, places of interest etc, otherwise it just becomes a monument to some architect’s ego. Adding giant glow-worms to Queen’s Wharf doesn’t change the equation. It needs to be a place attractive and habitable by human beings. 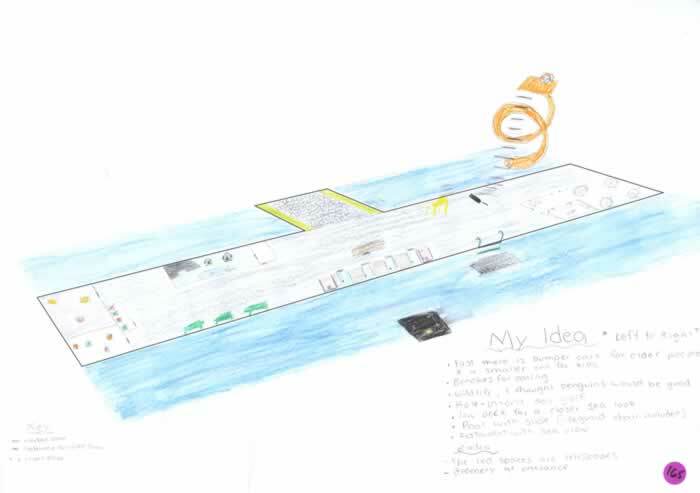 And it needs to be approachable and integrated with the rest of the waterfront. So I agree with the previous poster: tearing down the ASB monstrosity would help. But I’m sure if we put up these proposals and then have a democratic vote by all of Wellington then the best design will burst forth. This is the way it is with all urban design. Just as it is with art, the masses always have the best sense of taste and aesthetic, not to mention the best long-range vision. 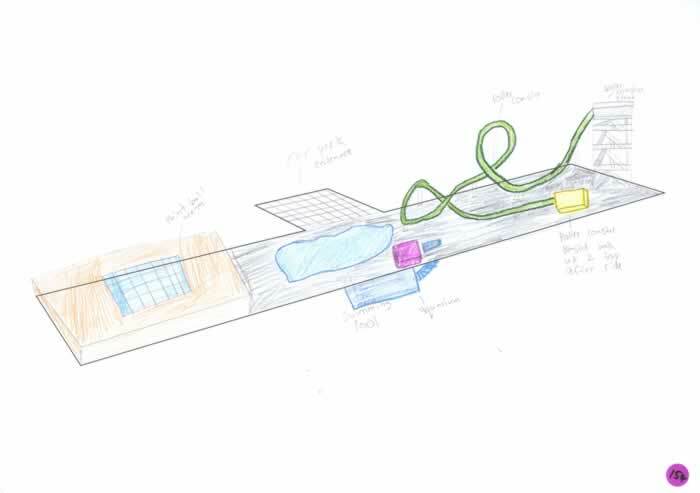 A blue sky concept competition ….. Yeah right! Prole – we haven’t put up the other ones in the competition yet, but yes, they would be an interesting contrast. And for once I think that the profession have come out rather well off from this competition, in comparison to the public. Aside from teh school kids, with their wonderfully naive drawings and perceptions of reality, the general public seem to have totally lost the plot. A place for NZ produce, such as NZ fruit juices. A jewish holocaust museum – just explain to me what relevance a memorial made of 600,000 buttons would have to murdered Jewish school children stuck on a wharf in the middle of Wellington harbour?